Shelby County Sheriff's Office and the FBI teach people to spot potential terrorists. Elvis fan or al-Qaeda operative? You make the call. A man walking through Tom Lee Park pauses to snap a photo of the iconic Hernando DeSoto Bridge. 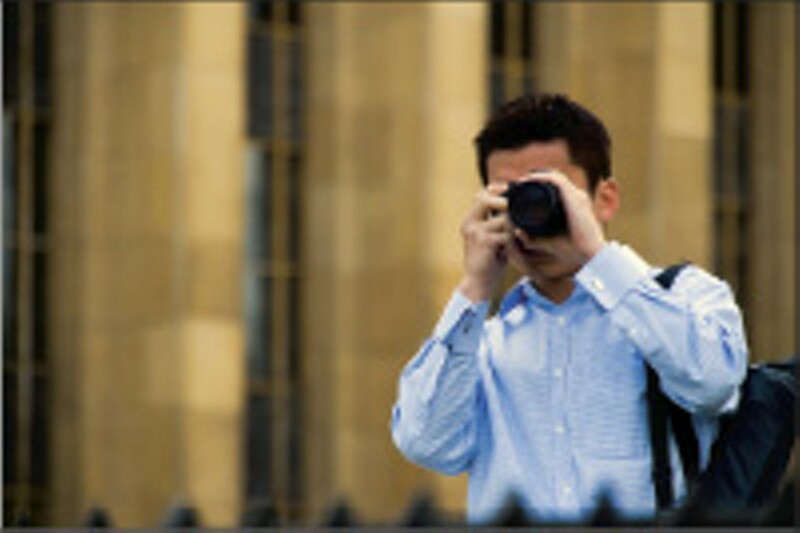 Another man shoots pictures of numerous downtown buildings. Many would assume the men are tourists taking in the city's sights, but law enforcement officials say they could be terrorists staking out possible targets. The scenarios were described at an anti-terrorism town hall meeting last week hosted by the Shelby County Sheriff's Office. The meeting, held at Cordova's First Assembly of God Church, was one of four public meetings that occurred in conjunction with Operation Sudden Impact, a new local anti-terrorism initiative. "You may think a guy is just shooting pictures, but if you report it to us, we'll send it on to the FBI and they may have four or five other reports of the same thing," said Richard Pillsbury with the Tennessee Fusion Center, a collaboration between the Department of Safety and the Department of Homeland Security. Shelby County sergeant Larry Allen warned attendees at the meeting to look for people who appear to be doing surveillance outside public buildings, such as shopping malls. "One of the things discussed in the al-Qaeda manual is conducting surveillance of your target," added Eric Jackson with the FBI's Joint Terrorism Task Force. "That could mean looking at a building to see how security is established." Allen also warned that possible terror suspects often set off business alarms to test security systems. Sheriff Mark Luttrell said citizens should report suspicious vehicles spotted in their neighborhoods. "We're not talking about snooping or profiling," Luttrell said. "The best thing the average citizen can do is to be on the lookout. Report situations to us and let us sift through them." Allen said environmental groups and animal rights groups may harbor terrorists, but Jackson said the FBI will not infringe on those groups' First Amendment right to free speech. "We will never do anything to interfere with anyone's First Amendment rights," Jackson said. "But we do ask people to be on the lookout for that individual who comes into the group and talks a little bit radical." Operation Sudden Impact is an alliance between the sheriff's office and 54 regional law enforcement agencies to fight terrorism. Public affairs officer Steve Shular said the collaboration will allow better information sharing between agencies in case of a major emergency or terrorist attack. In the next few weeks, Operation Sudden Impact will bring representatives from all 54 agencies to Memphis for a one-day saturation exercise. Officers will perform traffic stops and gang interdictions and serve arrest warrants. "Every arrest ticket written in 24 hours by each of those agencies will be reviewed to see if any of those people, even those with minor traffic charges, might have any connection to any possible terrorist activity lurking in the region," Shular said. In the meantime, officials are asking the public to report any suspicious activity to the sheriff's office. "We may get information that doesn't pan out to be true at all," Shular said. "But that one bit of information that someone calls in could make all the difference."